The NEW NIOSH Aerial Lift Hazard Recognition Simulator, which is intended to help aerial lift operators familiarize themselves with hazards they may encounter on the job is now available for download to use as a training tool at your workplace. In this instance, NIOSH uses the term “aerial lifts” to describe multiple types of lifts, including scissor lifts and boom lifts, which are commonly used on construction sites for elevating workers to various heights. 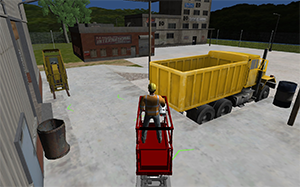 The simulator is intended to provide a safe, controlled environment in which users—employers, trainers, safety and health professionals, and aerial lift operators—can navigate a realistic workplace with different types of hazards such as potholes, ramps, crushing hazards, and tip-over hazards. The simulator notifies users when they encounter a hazard so that they can identify and avoid hazards on actual work sites. According to NIOSH, the simulator is designed to help potential or new aerial lift operators acclimate to aerial lift operation and help experienced operators refresh their knowledge on the associated hazards. The agency stresses that the simulator is not a substitute for the required training to operate an aerial lift. Instructions on downloading and launching the simulator can be found on the NIOSH website, along with additional information on aerial lifts. Aerial lifts are powered and mobile platforms that are used for elevating workers to various heights, which exposes workers to fall hazards. Training is necessary for anyone using aerial work platforms and equipment. In an effort to create awareness about common workplace hazards when using aerial lifts, NIOSH has developed educational tools and products. Employers, trainers, safety and health professionals and aerial lift operators can use the following information to prevent work-related falls. Note: NIOSH uses the term ‘aerial lifts’ as an overarching term to capture multiple types of lifts, such as scissor lifts and boom lifts. 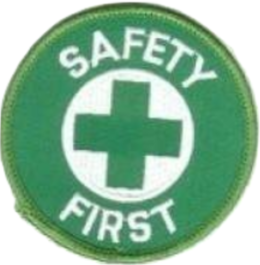 It is important to note that both OSHA and ANSI standards vary for different types of lifts. The Simulator, available at no cost, provides a realistic workplace with multiple, dangerous hazard types that users must navigate. Experienced aerial lift operators can refresh their knowledge, and new operators can familiarize themselves with hazards they may encounter on the job. Using the Simulator is not a substitute for required training to operate an aerial lift. Download the software here: NIOSH Aerial Lift Hazard Recognition Simulator today! Note that the software download is a ZIP file and can be used on any Windows based PC! Aerial Lift Safety Training Materials can be purchased here.